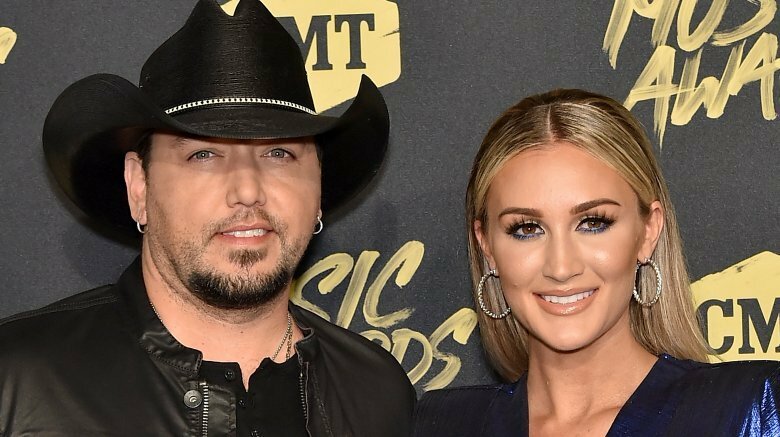 Country music star Jason Aldean has expanded his family again! On Monday, Feb. 4, 2019, the "You Make It Easy" singer took to Instagram to announce that he and his wife, Brittany Kerr, have welcomed their second child together, a baby girl. 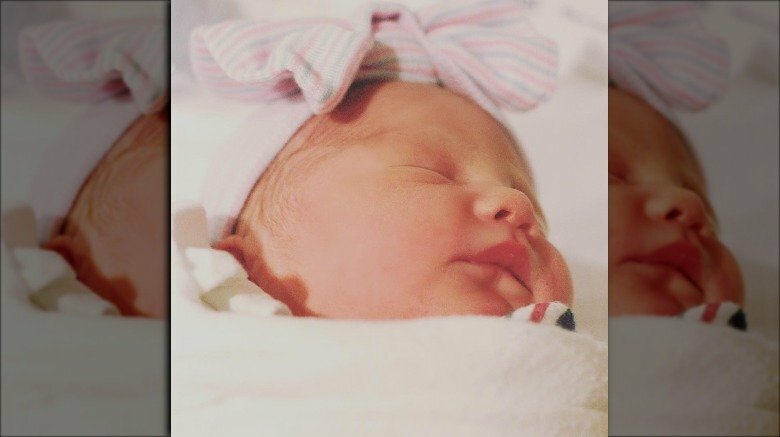 "Today our family became complete as we welcomed our daughter Navy Rome to the world," Aldean wrote to his 2.6 million followers, captioning a sweet snapshot of his newborn daughter. "Born on 2/4/19 weighing 7lbs 12oz and looking identical to her older brother." Alongside a baby emoji, he concluded, "So excited to watch what life has in store for this little princess." For her part, proud mom Kerr shared the same pic. "We welcomed our daughter Navy Rome into the world today at 12:45pm," she wrote, adding, "7lbs 12oz of pure preciousnes. We love you so much baby girl!!" As Nicki Swift previously reported, Aldean, 41, and Kerr, 30, first announced that they were expecting baby no. 2 in July 2018. The happy couple, who tied the knot in March 2015, had welcomed their first child, son Memphis, just seven months earlier. "I'm about to have two under the age of a year and a half, so it's exciting," Aldean, who also shares daughters Kendyl and Keeley with ex-wife Jessica Ussery, told Us Weekly last September. "We're excited to have them close together in age. I think it's going to be fun and hopefully they'll grow up really close and have a built-in best friend. That's kind of what we're hoping for." Aldean and Kerr aren't the only celeb pairing to share exciting baby news in recent weeks. Victoria's Secret Angel Lily Aldridge welcomed her second child, a baby boy named Winston Roy, with Kings of Leon frontman Caleb Followill in late January 2019. The married pair are also mom and dad to a 6-year-old daughter named Dixie Pearl. Meanwhile, Watch What Happens Live host Andy Cohen became a father for the first time this week. "WOW! This is my son, Benjamin Allen Cohen," the Bravo star wrote on social media on Monday, Feb. 4. "He is 9 lbs 2 ounces !! 20 inches !! Born at 6:35 pm, PT. He is named after my grandfather Ben Allen." The new dad added, "I'm in love. And speechless. And eternally grateful to an incredible surrogate. And I'm a dad. Wow." Congratulations to Aldean and Kerr on their newest little bundle of joy!